There are a lot of businesses that are interested in Microsoft Excel and all that this programme can do for reports and general business documentation. It is very important to have a Microsoft Excel Expert on board to handle a lot of the different tasks that may need to be completed in the business world. When Excel is used there are some things that can be done to improve finances. Any type of financial equations that need to be handled can be completed with Excel. There just needs to be someone with knowledge in Excel programming to construction these programmes. Programmers that can create Macros in Excel are very valuable to any organisation. Some companies use these experts to construct Excel budgets and other financial management spreadsheets with Excel. This allows companies to save money on expensive financial software management programmes . If a consultant with Excel experience is available there is no need to spend more money on software. An Excel programmer saves money. 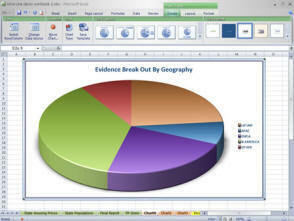 When Excel is used it is easier to construct data graphs and pie charts. People that have that type of expertise with this application can get different formats together for data presentations. The programmers in this field have the ability to enhance the way that the data is viewed because there are options for a plethora of different charts. A person that has no real experience in this may not be able to construct these graphs with accurate data. A person that has become proficient in this, however, can quickly gather data and filter reports and graphs for very detailed visual presentations.